There are lots of websites and books, blogs and downloads to turn to as a writer seeking starter ideas for writing. 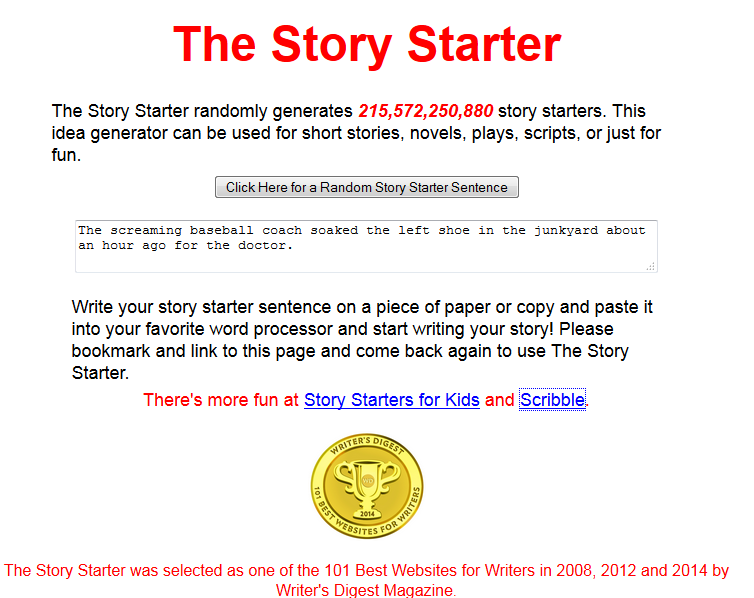 But perhaps the biggest one of all is Story Starters, which boasts over 215 billion randomly generated story starter sentences. Some of them don’t make sense, of course, but plonking through the “Click here for a Random Story Starter Sentence” will provide profit for your muse at some point. There is also a PG Kid’s Story Starter. Seventh Sanctum has long been the go-to place for random generators. There are so many on this index page that it becomes difficult to choose. Or go for random. (Given my own storytelling at the moment, I quite like the supervillain themes generator, just saying). 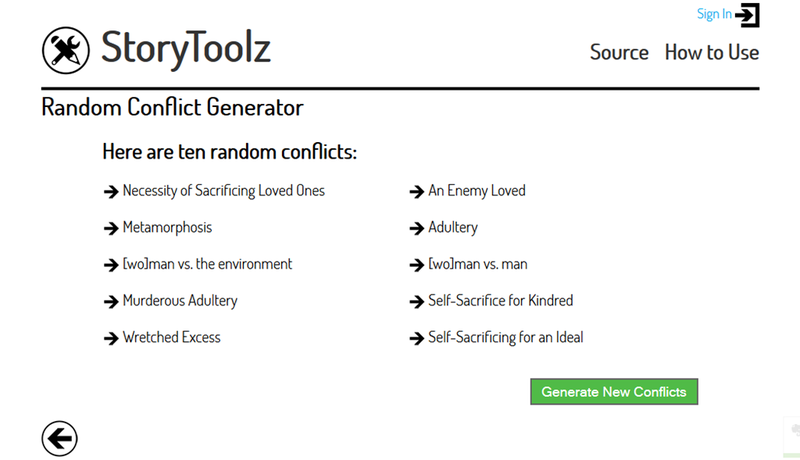 The Storytoolz Conflict Generator works quite well if you enjoy working with character archetypes, giving you a choice from 63. 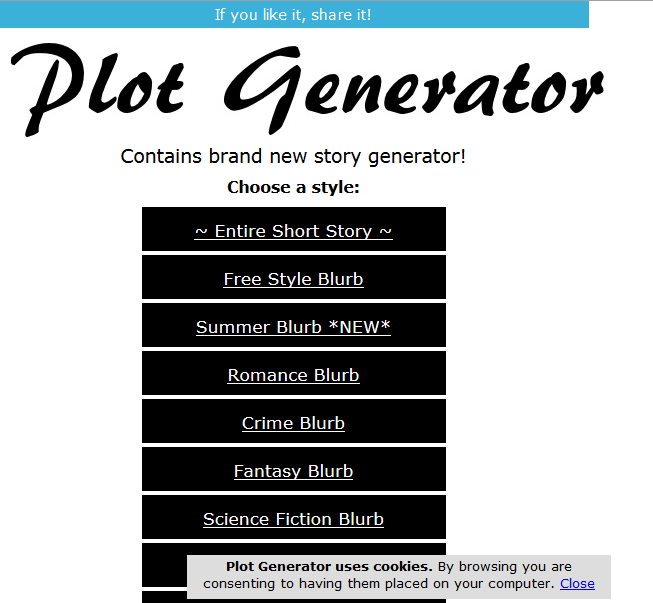 The same site also has a Story Idea Generator which produces random conflicts generated from the Internet Public Library’s list of 7 plots, 20 plots, and 36 plots. 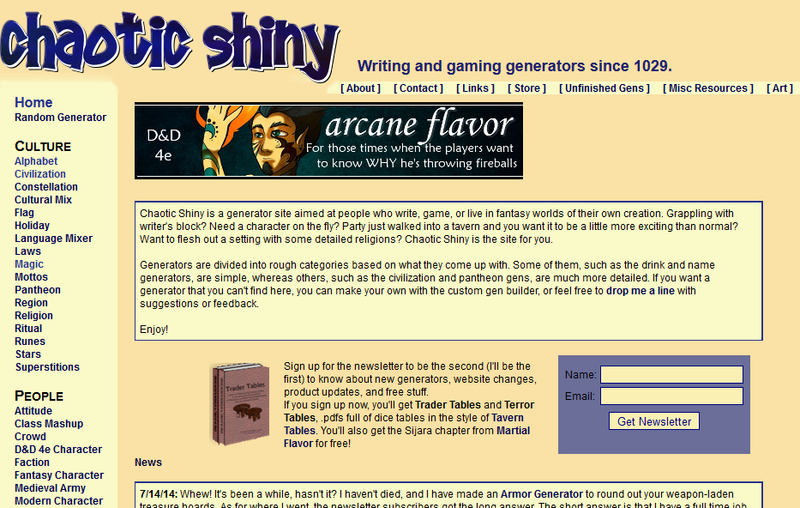 This website has a lot of random generators for world-building (or game building) so if you’re creating a fantasy or new world, give it a shot, choosing from culture, people, places, names, accessories and several other categories. This UK website has some interesting blurb generators to select from. You infill names and select from options to have the plot generated. Cookie user, with copious sidebar adverts mean this is a less attractive site to use, but worth pursuing for the extra inspiration in filling in some of your own details. Of course, there are many apps for this also. 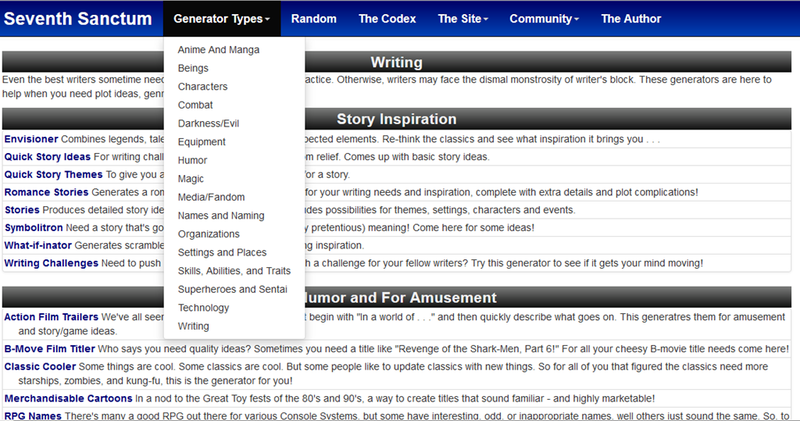 I’ve found and listed many at Listly: Writing Prompt Apps. #52Tech: This was Week 32 post in the #52tech goal – to investigate and share one technology post once a week for 2014.